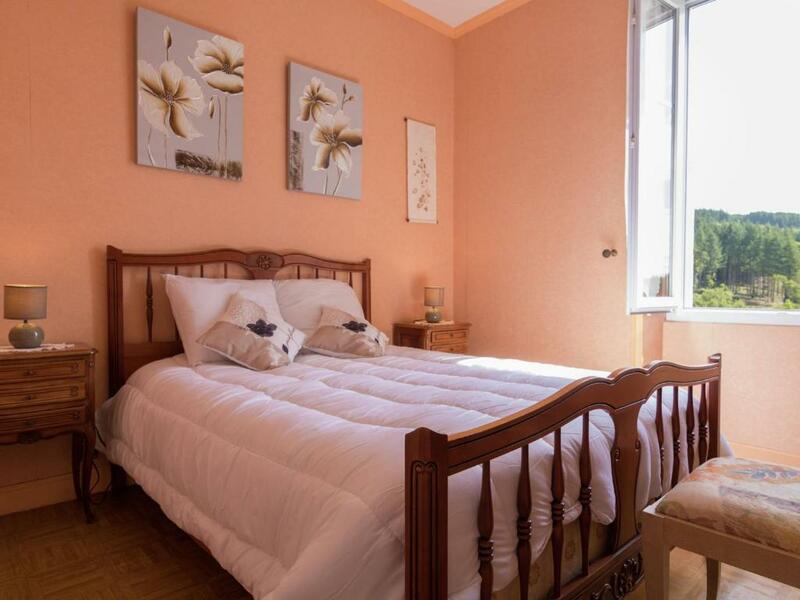 Located in Meymac, Maison De Vacances - Ambrugeat La Sagne 1 has self-catering accommodations with a terrace and free WiFi. Guests staying at this vacation home can use a fully equipped kitchen. The vacation home features a TV and 4 bedrooms. The vacation home also provides a seating area and a bathroom with a shower. The vacation home has a grill. The property has a garden where you can relax, along with a water sports facilities. Ussel is 16 miles from Maison De Vacances - Ambrugeat La Sagne 1. The nearest airport is Bellegarde Airport, 59 miles from the accommodation. 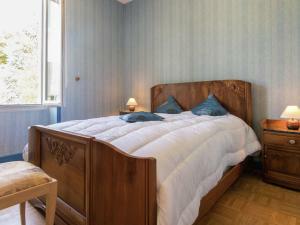 When would you like to stay at Maison De Vacances - Ambrugeat La Sagne 1? This holiday home has a toaster, kitchen and dishwasher. Your holiday will start as soon as you drive through the characteristic gates of this beautiful holiday home. You stay in the right wing of this tasteful, spacious villa. The rest of the property is not occupied at this time. The house is comfortably furnished with beautiful details. Note the elegant beamed ceilings in the modern kitchen and dining room. The bedrooms are very colourful and spacious. This holiday home is situated on a huge estate with several seating areas in the sun and shade. In front of the house is a beautiful, fenced pond with huge koi carp. From the covered terrace you can enjoy the beautiful view while the kids play in the yard. You'll stay in the heart of the Corrèze, near Lake Sèchemaille (5 km). Supermarket. bank, tennis court, restaurant, bakery and post office in Meymac (7 km). The area is ideal for long walks and bike rides. The recreational lakes in the area provide the necessary water fun: swimming, canoeing, pedal boating and fishing. Visit the ruins of the Château de Ventadour (25 km) with its round tower and chapel. In the village of Sarran (31 km) you will find the Musée Jacques Chirac and the Puy de Sarran. House Rules Maison De Vacances - Ambrugeat La Sagne 1 takes special requests – add in the next step! Maison De Vacances - Ambrugeat La Sagne 1 accepts these cards and reserves the right to temporarily hold an amount prior to arrival. We need at least 5 reviews before we can calculate a review score. If you book and review your stay, you can help Maison De Vacances - Ambrugeat La Sagne 1 meet this goal.